Posted on September 24, 2009, 10:09 pm, by E gan F, under Photos. I love the glimpses of the city you get on a bus that’s hurtling around Dublin. And trying with a camera to capture those glimpses I especially like. 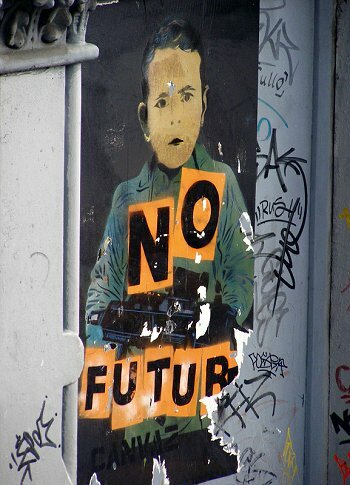 This photo is of a paste-up by Canvaz and comes with its own words, so I’ve nothing further to add.